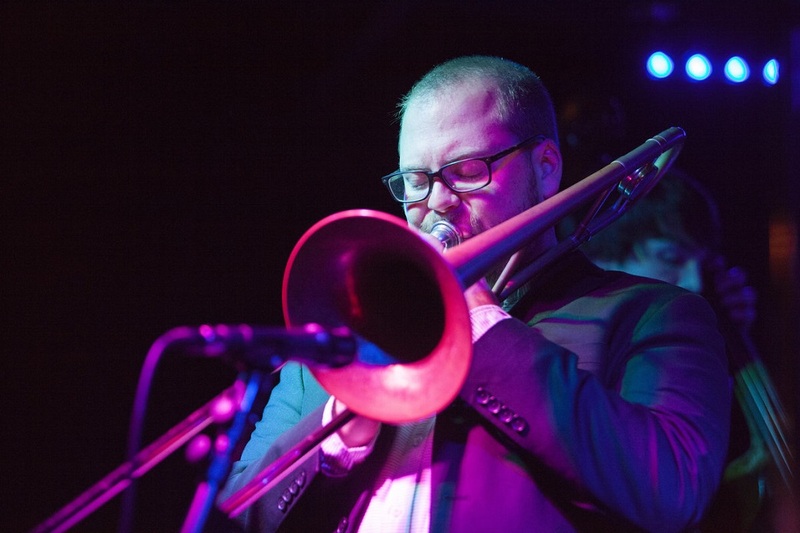 With his second album release as a leader, dynamic New York City based trombonist and composer Sam Blakeslee releases the debut of his 17-piece contemporary jazz orchestra, the Sam Blakeslee Large Group. 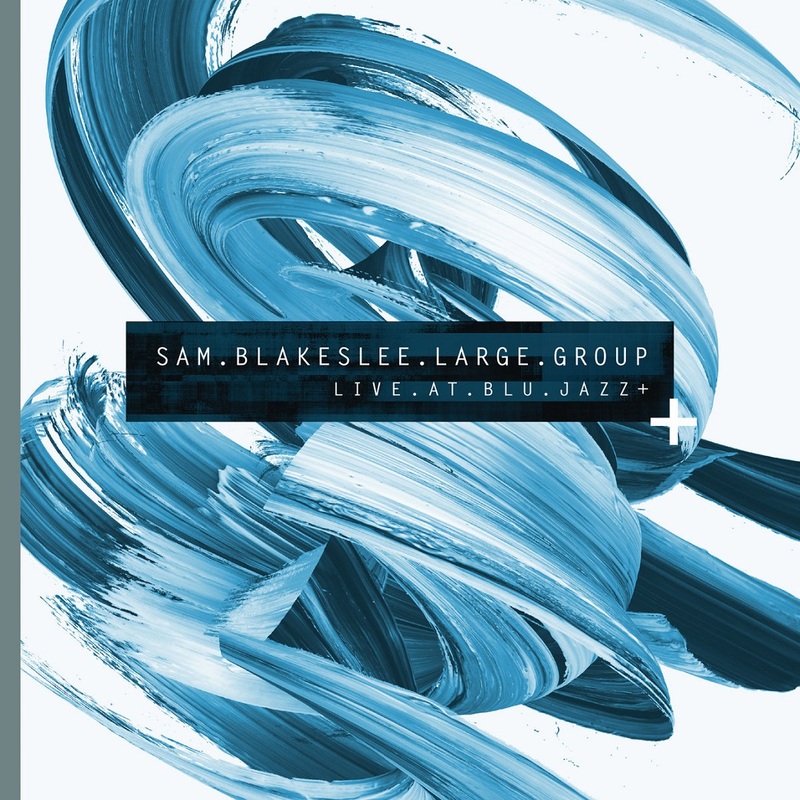 The Sam Blakeslee Large Group held a monthly residency from January 2016-July 2017 at Blu Jazz+ in Akron, OH before his departure to New York City in August 2017. The ensemble's repertoire focused heavily on original compositions and arrangements while featuring the very best musical talent in Northeast Ohio as well as collaborations with artists from Detroit, Pittsburgh, and New York City. This album encapsulates the diverse music of the residency as well as documenting an incredibly formative time for Blakeslee as a composer and arranger. 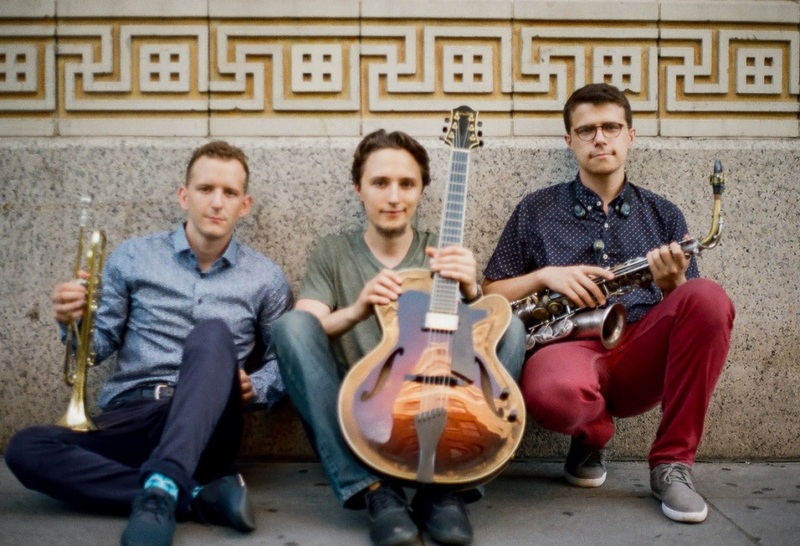 It also features a special collaboration with NYC jazz musicians David Smith, Jorn Swart, Cory Todd, and Dan Pugach (the latter of the three all played on his debut record "Selective Coverage"), two bonus tracks that feature Blakeslee arrangements of Akron's own, guitar virtuoso Dan Wilson's compositions, and one original composition from esteemed Northeast Ohio composer Dave Morgan. Encompassing traditional and avant-garde jazz styles as well as hip-hop influenced grooves, the "Live at Blu Jazz" is sure to leave the listener wondering what the next track will hold. on Change in the Air. with Frisell or with his own bands is something I'll never forget. his playing is marked by bold instincts and nuanced expression. to internalize the rhythms and meters and make them feel good. Hancock, Ron Carter, Tony Williams and Wayne Shorter.…man! 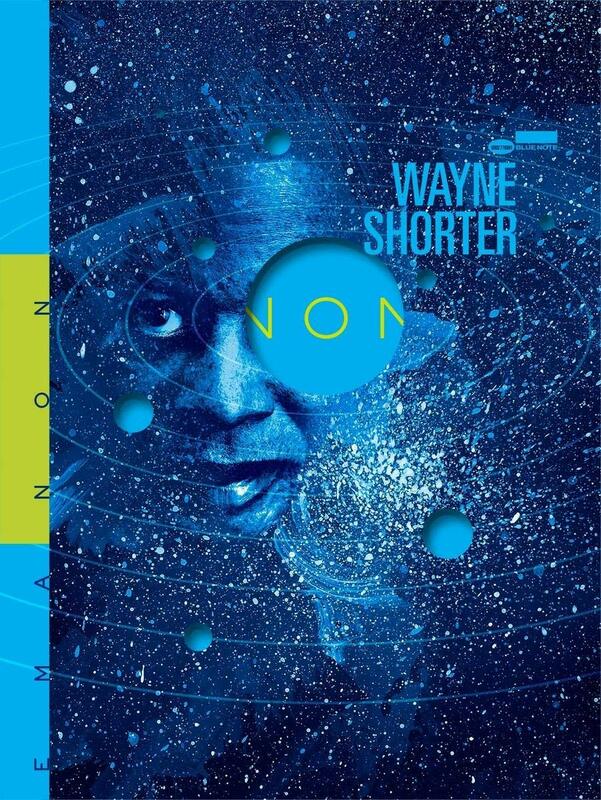 Jazz legend and 10-time GRAMMY winner Wayne Shorter is set for the September 14 release of his long-awaited project Emanon, his first release since 2013’s Without A Net, which marked Shorter’s momentous return to Blue Note Records where he began his heralded recording career in Art Blakey’s Jazz Messengers in 1959. 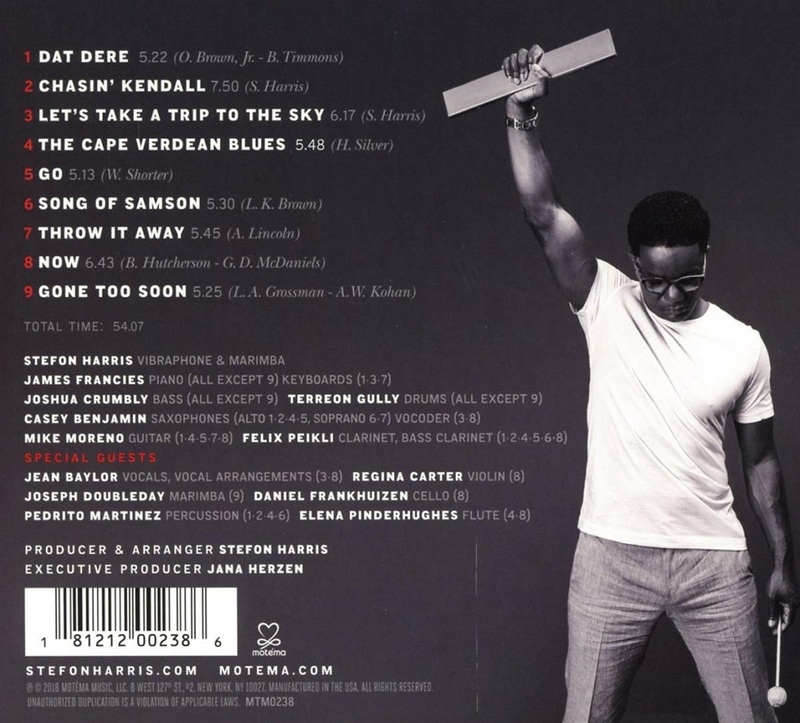 Emanon is an extraordinary musical and visual experience that presents a triple album of original music by Shorter performed by The Wayne Shorter Quartet—featuring Shorter on soprano and tenor saxophone with Danilo Perez on piano, John Patitucci on bass, and Brian Blade on drums—with and without the 34-piece Orpheus Chamber Orchestra. The music is accompanied by a graphic novel penned by Shorter with Monica Sly and illustrated by Randy DuBurke. Emanon is a physical-only release that will be available in two versions; a Standard Edition that packages 3x CDs with the graphic novel, and a Deluxe Edition that packages 3x 180g vinyl LPs and 3x CDs with the graphic novel enclosed in a beautiful hardcover slipcase. 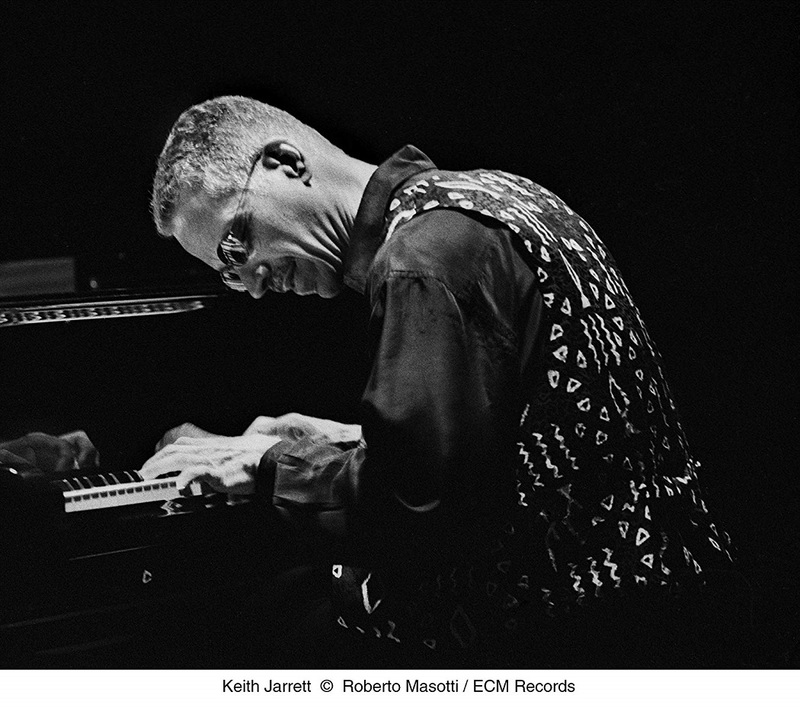 This recording of Keith Jarrett’s extraordinary solo performance at Gran Teatro La Fenice in Venice in July 2006 finds Jarrett entering one of Italy’s most famous classical venues and channeling the flow of inspiration to shape something new. In this case, a suite of eight spontaneously created pieces referencing everything from the blues to atonality to heart-rending ballads. 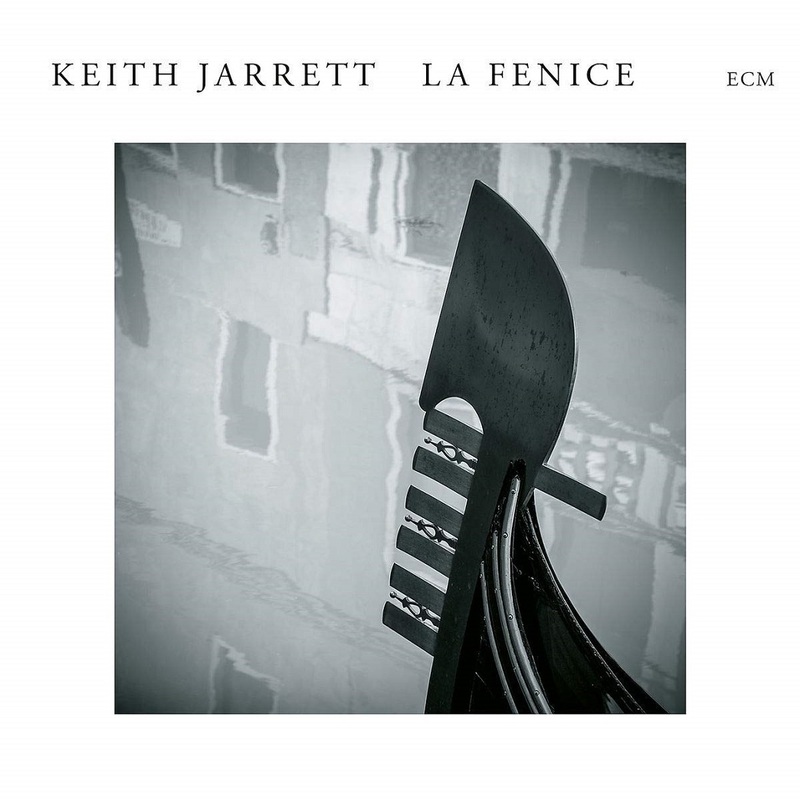 Release of ‘La Fenice’ is timely: The 62nd International Festival of Contemporary Music of the ‘Biennale di Venezia’ has honoured Keith Jarrett with its Golden Lion for Lifetime Achievement. It’s the first time that a “jazz” musician has received this award, which has previously been given to contemporary composers including, in recent decades, Luciano Berio, Pierre Boulez, György Kurtág, Helmut Lachenmann, Sofia Gubaidulina and Steve Reich. 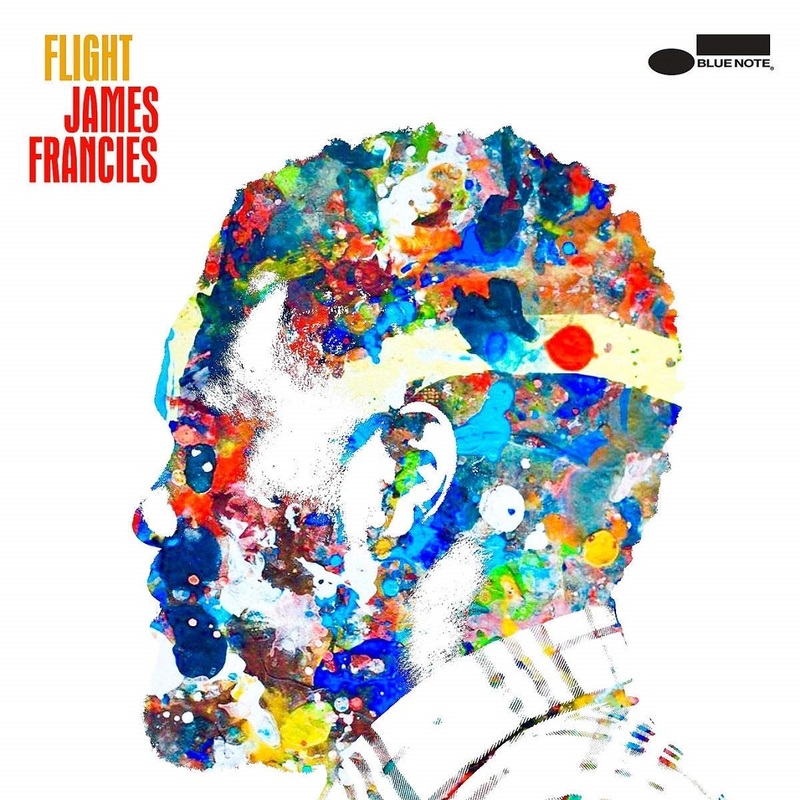 22-year old Houston-born NYC-based pianist and composer James Francies makes his debut with Flight, an album that presents a bold new vision from one of the brightest young stars in Jazz. Francies, who frequently sits in with The Roots on The Tonight Show Starring Jimmy Fallon, has already performed with a wide array of artists including Chris Potter, Pat Metheny, Stefon Harris, José James, Ms. Lauryn Hill & Nas. He brings that broad range of influences to this set featuring special appearances by saxophonist Chris Potter and vocalists YEBBA, Chris Turner & Kate Kelsey-Sugg, along with a cast of Jazz youngbloods including vibraphonist Joel Ross, guitarist Mike Moreno, bassist Burniss Travis II, and drummers Jeremy Dutton and Mike Mitchell. 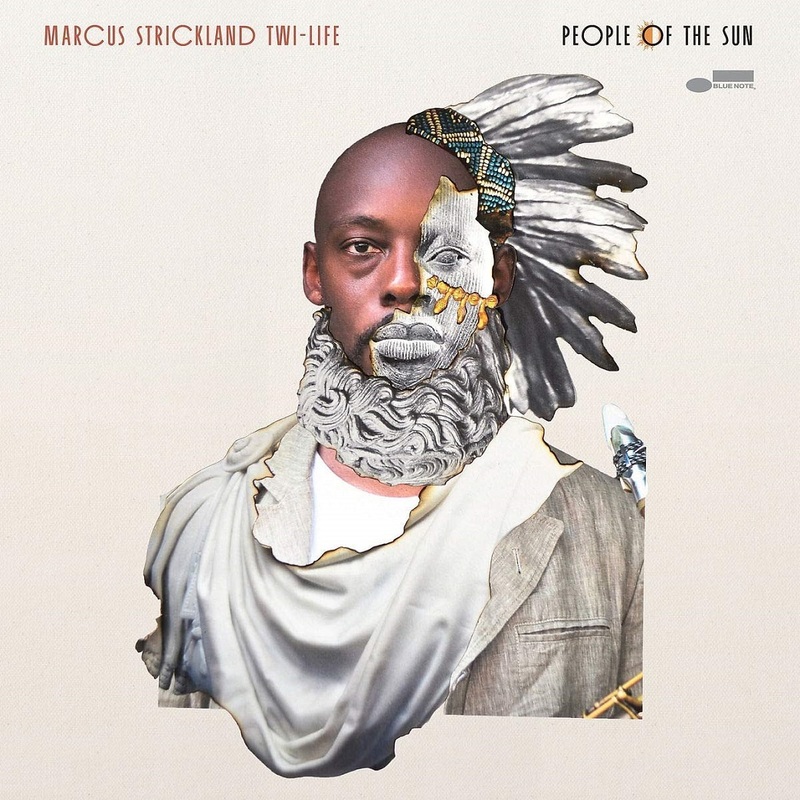 On his thrilling new LP, People of the Sun, saxophonist Marcus Strickland blazes a trail fully at the helm of his music—performing, writing, and producing with his Twi-Life band on deck and special guests including Bilal and Pharoahe Monch along for the ride—as he sonically and socially traces the African diaspora from present to past in an effort to unpack his identity. It’s an album that's busy and beautiful, inventive and contemplative, an amalgam of influences from West Africa (griot culture, Afrobeat, percussion) and America (post-bop, funk-soul, beat music) performed in the key of revelation. 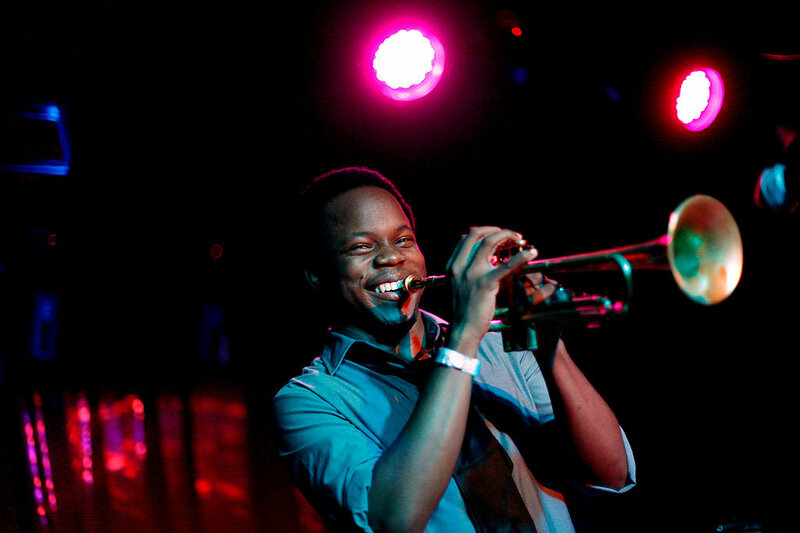 Ambrose Akinmusire's challenging fourth album for Blue Note (and sixth overall), 2018's Origami Harvest, is an ambitious work that finds the trumpeter blending seemingly disparate elements -- including spoken word, classical chamber music, free improvisation, and hip-hop rhythms -- into a textured if often laborious mix. 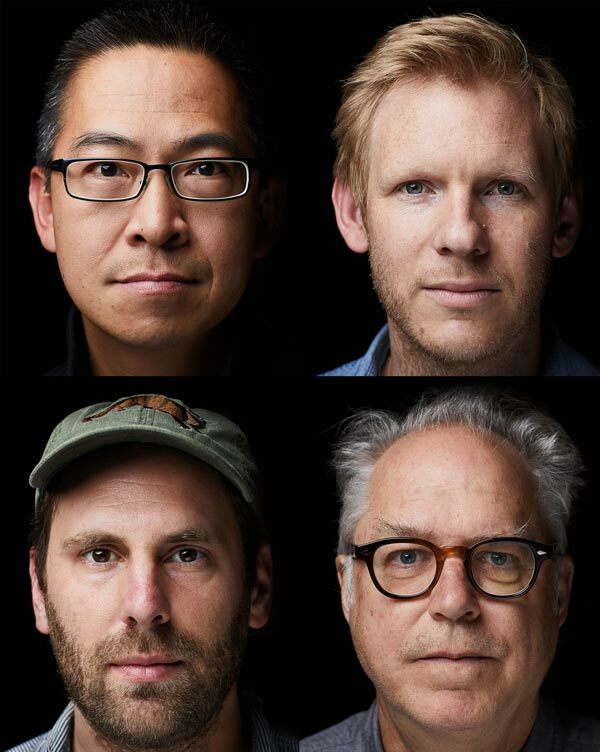 The album was born out of a commission for curators Judd Greenstein of Manhattan's Ecstatic Music Festival and Kate Nordstrum of St. Paul's Liquid Music Series. They dared Akinmusire to bring to fruition his "craziest idea," and he did, crafting what are best described as evocative soundscapes. Helping to fill out these soundscapes are fellow Bay Area native rapper Victor Vazquez (aka Kool A.D.), Brooklyn-based Mivos Quartet, pianist Sam Harris, and drummer Marcus Gilmore. For jazz listeners, or for those who liked Akinmusire's previous albums like 2017's live A Rift in Decorum, Origami Harvest may be a frustrating experience. While there are moments of inventive soloing here, they are rare. More often, as in the opening "A Blooming Bloodfruit in a Hoodie," Akinmusire works to punctuate A.D.'s spoken word sections, fluttering and sparring with delicate urgency underneath the rapper before finally launching into his own synth and drum-backed solos late in the track. In fact, he barely plays any trumpet on "Americana/The Garden Waits..." and "Particle/Spectra," the latter of which showcases a soulful vocal from LMBRCK_T. Nonetheless, both songs are deeply layered and cinematically constructed, moving from ruminative classical chamber sections to spacy funk midsections before finally pulling back into restrained string endings. All of this is thoughtfully composed, and there are brilliant moments that definitely grab your attention. Particularly compelling is "Miracle and Streetfight," in which Akinmusire's trumpet surfs against the dissonance of Mivos Quartet's sharp string waves as A.D. lays down his laconic invective. Equally engrossing is Akinmusire's fiery opening volley on "The Lingering Velocity of the Dead's Ambitions," in which he squawks and moans with tight-eyed intensity as Mivos Quartet play a buzzing crunch of sustained bass notes and piercing accents. There is much to admire on Origami Harvest, including Akinmusire's scoring for Mivos Quartet, who offer a vibrant harmonic counterpoint to his trumpet playing. Similarly, Harris and Gilmore offer their own layered asides, with Gilmore dropping into circular trap-style beats throughout and Harris shifting from warm piano to unearthly synthesizer as needed. That said, the spotlight given to A.D. deters somewhat from the more interesting musical juxtapositions. 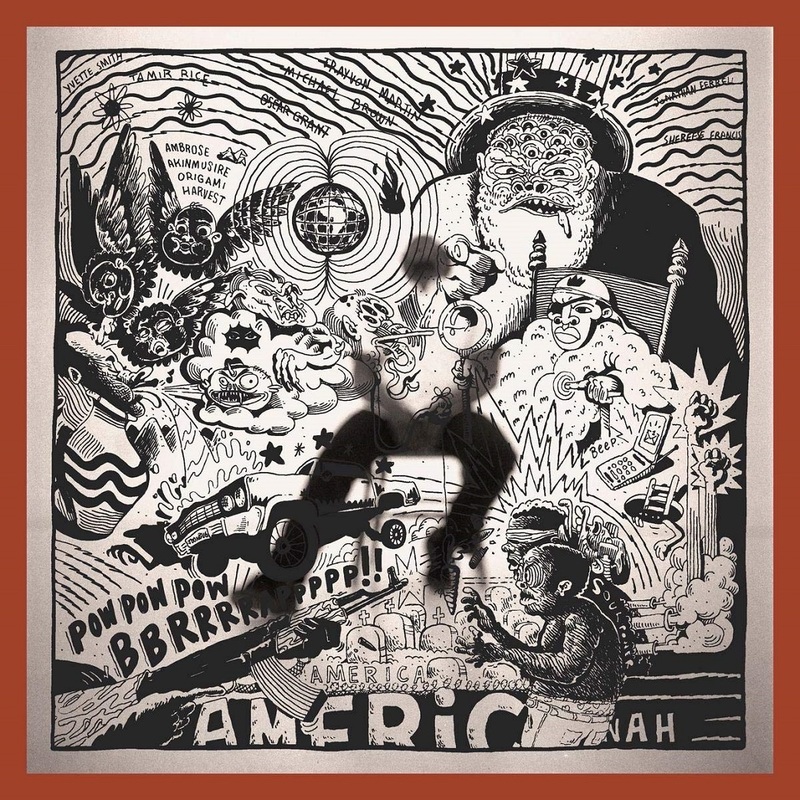 The rapper is featured on at least half of the tracks here, a fact that lends Origami Harvest the overall feeling of being more of an avant-garde spoken word album than an instrumental jazz album. Furthermore, whether it's A.D.'s flat delivery or the way he often seems to float over the music, disconnected from the underlying structure, his presence threatens to test one's patience. Origami Harvest may not work for everybody, but for those who take the time to explore the unexpected bends and folds in Akinmusire's construction, a wealth of discoveries can be found. 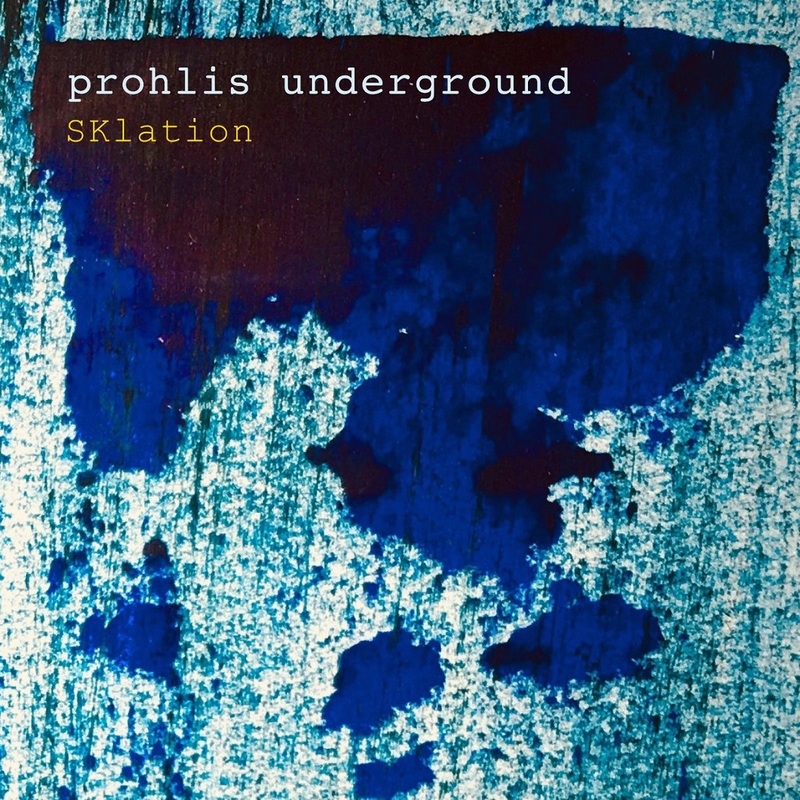 The album is Stefon Harris and Blackout’s first recording since Urbanus (which earned a Grammy nomination for Best Contemporary Jazz Album in 2009), and 2004’s Evolution. The conception and birth of Sonic Creed came about as a result of Harris bursting with this music, this sound, and this album, inside of him. “What pushes me to release a new album is the answer to the question, if I don’t record this music will the sound of this music exist in the world? And if the answer is no, then we have to go into the studio!”, said Harris. Sonic Creed is about music that chronicles the story of a people and their time on earth. It aims to be a reflection of African American life in the late twentieth and early twenty-first centuries. And, it is a sonic manifestation and creed of family, community and legacy. “These core assets of the Black community are the messages of Sonic Creed, and we honor our legacy by exploring the music of masters such as Bobby Hutcherson, Abbey Lincoln, Wayne Shorter and Horace Silver. Their music is timeless and is the literal aural expression of those community assets”, said Harris. 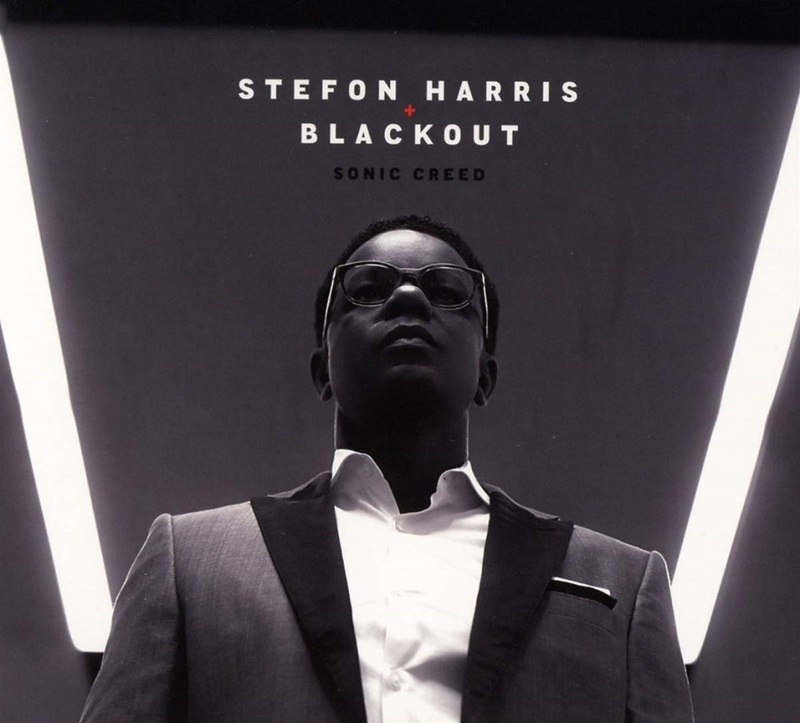 The album therefore serves as a representation, through Stefon Harris and Blackout’s existence and experience, of Black American life in the present. “I want to document our time on the planet in the here and NOW! What is the sound of ‘Black Lives Matter’ for example? What is the sound of electing the first African American President of The United States? What is the sound of right now? This is what I’m interested in Blackout representing and reflecting. It’s art for our sake”, stated Harris. 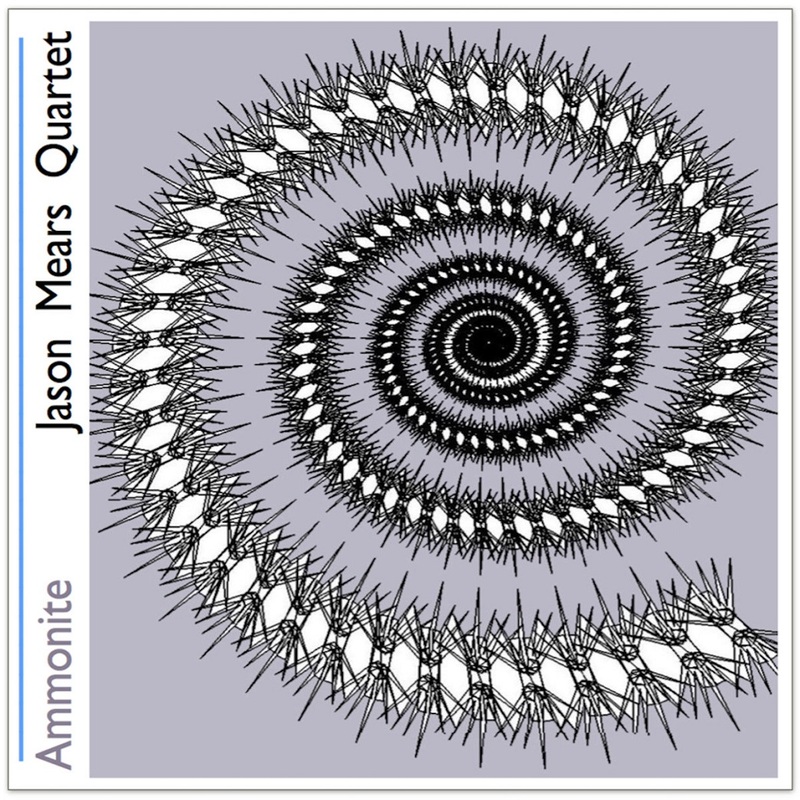 JASON MEARS, from Alaska, is a saxophonist, clarinetist, composer, improviser, and educator who is currently living in New York City. As well as being a member of the the highly acclaimed Empty Cage Quartet, Jason’s most recent projects include Anthony Braxton’s Trillium E Orchestra, Wadada Leo Smith’s Silver Orchestra, and Harris Eisenstadt’s Canada Day Octet. 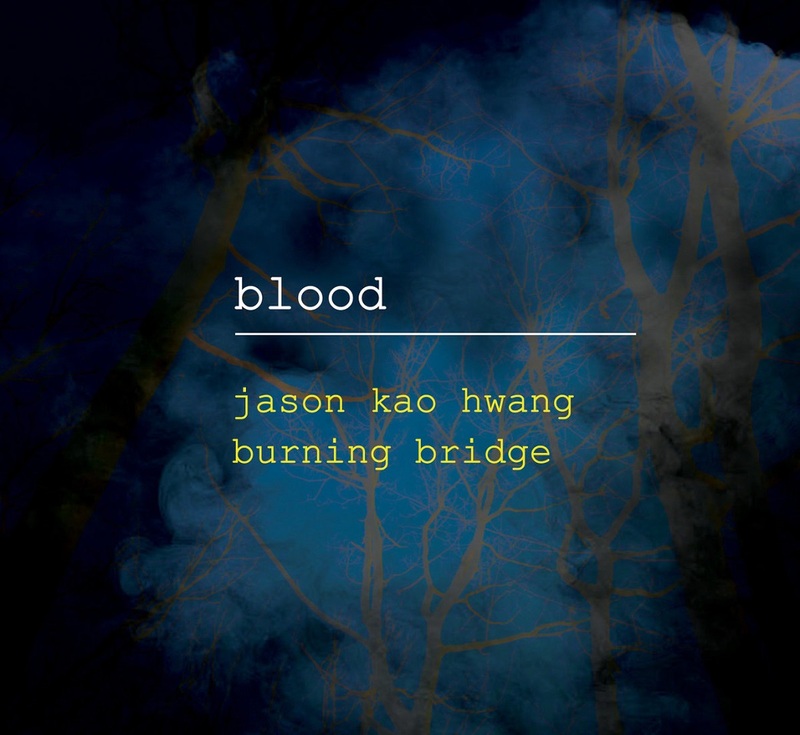 Blood by Jason Kao Hwang and his Burning Bridge ensemble represents the latest masterwork to date in the oeuvre of one of the jazz avant-garde’s most original compositional voices: an uncompromising artistic vision as captivating as it is challenging. Hwang succeeds here at incorporating improvisational statements into unified compositional schemes with what strikes me as a cinematic, directorial style, an engaging conception of sonic cinéma vérité. His mastery of musical mise-en-scène allows him to place his outstanding cast of artists within well-structured soundscapes, across which he pans with lyrical lines and propulsive rhythms that his soloists continue seamlessly, as he zooms in to foreground their candid improvised responses to the challenging situations in which they find themselves. 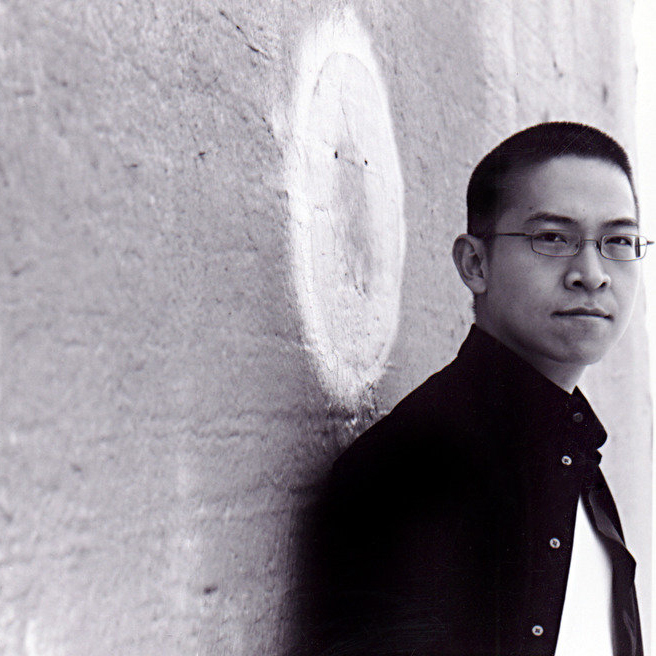 The compositional stage-sets he conceives showcase an activist aesthetic of polycultural hybridity, in which uniquely orchestrated sounds combine to evoke overtones of his own Asian American history and location. 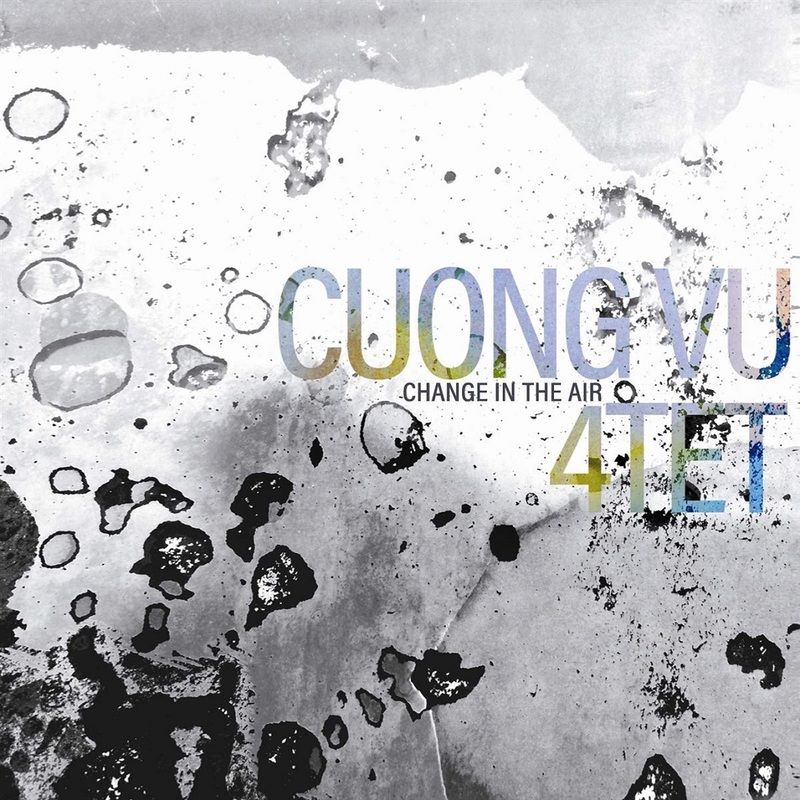 Building upon Burning Bridge’s acclaimed debut recording (2012, Innova), he brings experimental jazz styles into mutually enriching dialogue with traditional Chinese music in order to confront, contemplate, and counteract the unspeakable violence whose disturbing, unrelenting echoes engendered this piece. He explores this harrowing theme across some 28 painstakingly staged scenes, comprising a continuous play of sound divided into five acts. The first act begins and ends with the reverberations of distant bass explosions with flying treble debris, in between which ensemble lines guide brass soloists through unfolding ritual contexts, and freeze-frame sustained tones launch duos or trios into intense dialogue; collective improvisations flow seamlessly into individual statements, which in turn give way to lyrical contrapuntal melodies before returning again to ensemble extemporization. 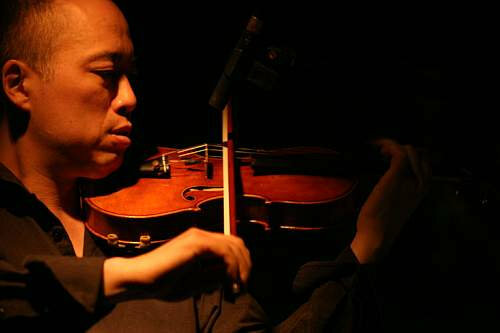 The second act opens with a mournful ceremonial procession that suddenly transforms into a bluesy strut over a sinewy rhythm-section groove that carries violin and cornet solos into juxtaposition with subsequent erhu and pipa solos, which lead into a climactic syncopated ensemble passage. The third act returns to the ritualized austerity of the first, with a tuba solo over processional strings, followed by freeze-frame pipa-percussion and trombone-erhu-bass dialogues, flowing into aggressively rhythmic ensemble figures that set off an explosive drum solo, over which a concluding free-rhythm coda ultimately marches off. The fourth act brings the beat back, with an angular ensemble passage launching a series of bluesy solos over a muscular shuffle groove, which further propels violin-led call-and-response exchanges into collective improvisation that resolves into to a world-weary ensemble reprise; even the funky violin solo and light-hearted string passage that follow cannot prevent the return of repressed, collectively improvised, traumatic memories. The final act expands the first’s reverberating booms and flying debris into bass and tuba solo salvos underscored by string shrapnel, introduced, bridged, and concluded by poignant ensemble prayers for peace. The impassioned realization of this ambitious script owes much to the empathetic artistry of the virtuoso ensemble Hwang has assembled and sustained since 2009, with support from Chamber Music America, the Doris Duke Foundation, and U.S. Artists International, as well as performances at Edgefest, the Vision Festival, the Victoriaville Festival de Musique Actuelle, the Chicago World Music Festival, the University of Massachusetts, Flushing Town Hall, Roulette, and the Bop Shop. Driving down on an unlit highway, my headlights flashed upon a bleeding deer carcass. My heart rate thundered and lungs exploded as I swerved away, narrowly avoiding a collision. This shock made me reflect upon my mother’s harrowing experiences in China during World War II. While in a Changsha pharmacy she was knocked unconscious by a Japanese bomb. She awoke as the lone survivor surrounded by the dead. I also thought about Butch Morris and Billy Bang, musicians I’ve worked with who fought in Viet Nam. The magnitude of sorrow that they endured is unimaginable. Blood meditates upon the emotional traumas of war retained within the body as unspoken vibrations that reverberate throughout communities and across generations. Through Blood the violence of deeply held memories are not relived but transposed into our sound. Blood in our sound rises within our song. Extreme danger triggers powerful forces of “fight or flight”. This conflict can produce an immobility response, which penetrates and remains within the body as emotional trauma. Similarly, when a bomb explodes, there is blast wave outward that leaves a near vacuum in its wake. This is filled by an equally deadly blast wind in the opposite direction. Within an explosion, Blood was created. 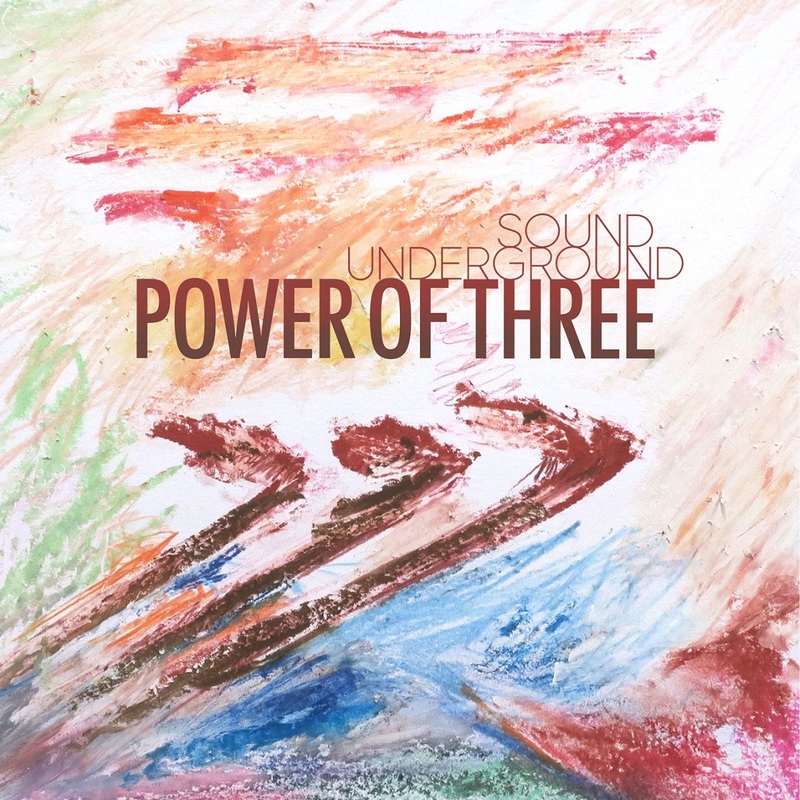 Entering their sixth year, chamber trio Sound Underground returns with their third release 'Power of Three'. While their sophomore effort 'Quiet Spaces' dwelled reflectively in the intimacy of their unconventional instrumentation, 'Power of Three' strives to shatter the limitations of sonic possibility with these three acoustic instruments. Across 71 minutes of original music, the trio perseveres to turn new stones. Sound is our freedom. We feel the power of self-determination attributed to the will; the quality of being independent of fate or necessity. Space is our believe. We accept that it is true, especially without proof, feeling sure that space is capable of moving something in humans. Music is our determination. 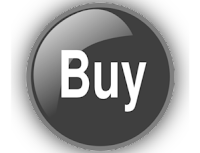 We follow the process of establishing something exactly by emotion or feeling with the controlling or deciding of the nature or outcome of our art. This is the fourth album I've done with my Iceland-based trio and it's the first time we've added another musician to the mix. The Finnish trumpeter Verneri Pohjola has been on my radar for a few years and we had been in touch about possibly working together at some point. When the trio was invited to Finland to play at the Tampere Jazz Happening, I knew that was the opportunity we'd been waiting for. After our performance in Tampere we went to the studio at the Sibelius Academy near Helsinki to record and stay for a couple of days. It was wonderful... sauna and all. Produced by Sunna Gunnlaugs and Scott McLemore. Recorded November 5th and 6th 2017 by Markus Bonsdorff at Kallio-Kuninkala Studios, Sibelius Academy in Finland. Mixed and mastered by Kjartan Kjartansson in Reykjavík, Iceland. Cover Photo by Amy Nicolazzo. 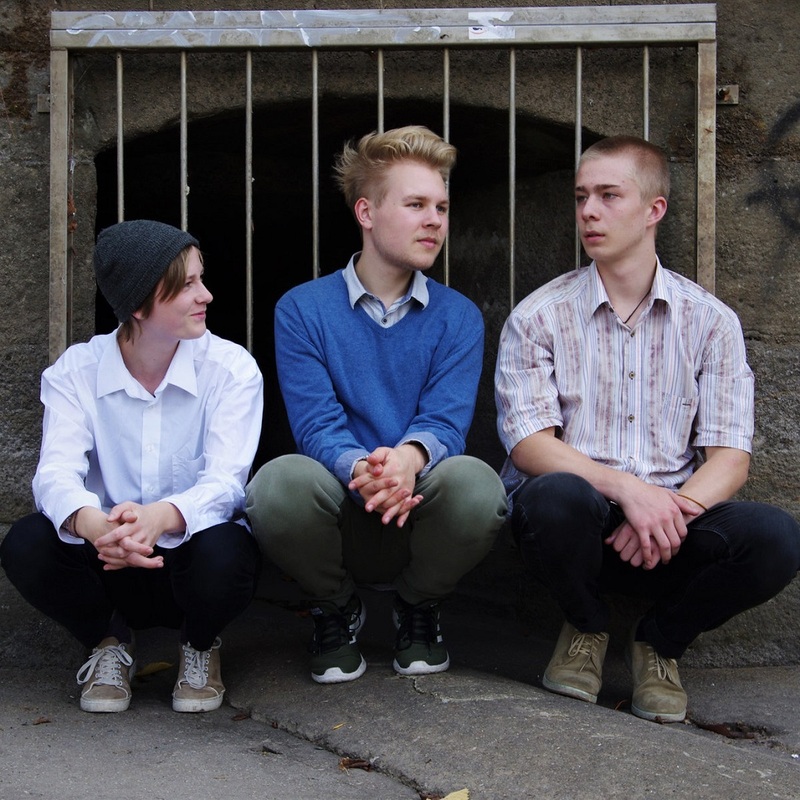 Band photo and Pohjola’s hands by Maarit Kytöharju, other hand photos by Sigurdór Guðmundsson. 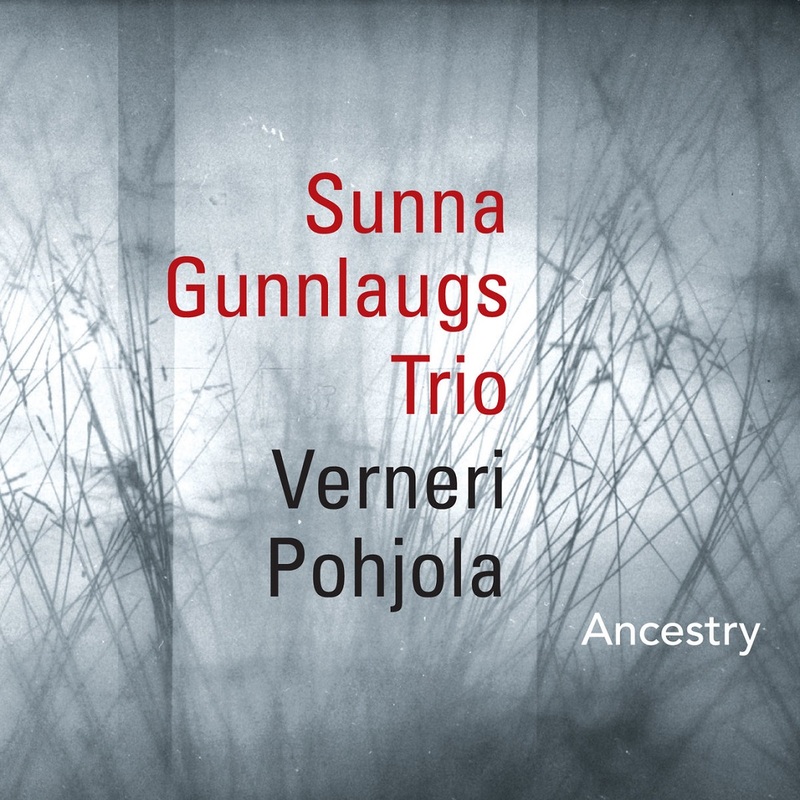 Verneri Pohjola appears courtesy of Edition Records.